Sermon Theme: Eat. Drink. Live. Summary: Imagine their surprise. After the warnings, the rumblings, and the flashings, the Lord now invited the elders of Israel to join Moses and Aaron in His holy presence. First, they heard God’s unequivocal command to stay off of His mountain. Now they hear His invitation to come up to dinner. 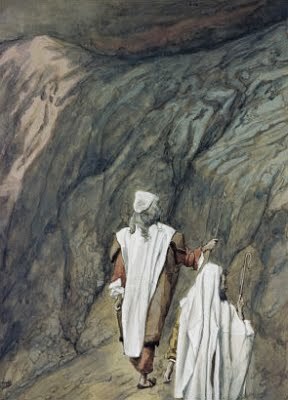 He who cannot tolerate any sin or corruption in His presence invites sinners to eat and drink and while they are there, He doesn’t “lay his hand” on any of “the chief men of the people of Israel.” Instead, covered by the blood of the Covenant and trusting in the Word of the Lord, they come to Him in trust. 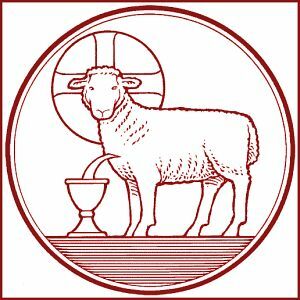 Now we, sinners all, are also invited to eat and drink in the presence of the Lord, trusting that we are not only covered in the blood of the New Covenant but that we will actually consume this holy blood, along with the body of the sacrificial Lamb, in Christ’s Supper. We come to the altar knowing that God will not only withhold His hand of judgment but will extend His hand of mercy, not ending our miserable lives but transforming them. He rose early in the morning and built an altar at the foot of the mountain, and twelve pillars, according to the twelve tribes of Israel. And he sent young men of the people of Israel, who offered burnt offerings and sacrificed peace offerings of oxen to the Lord. And Moses took half of the blood and put it in basins, and half of the blood he threw against the altar. Audio: Click to hear the MP3 of Eat. Drink. Live., preached to the saints of God at Faith Lutheran Church, Knob Noster, Missouri.